It is a dream of every business to make its next year better than the last as it is the only way to take abusiness towards its mission and vision. Retail businesses are mostly dependent on seasonal trends which alter throughout the year. However, we have put together a few success tips for retailers who want to achieve year-round success. It doesn’t matter if you have had a great or disastrous previous year; the tips below are surely going to change your fortune, provided you do exactly as told. All of your resources have been put to the test in the last season and now is the perfect time to evaluate where you stand. Based on the data from your last year’s sales, you need to assess the effectiveness of the hardware and software that is currently being used. For example, some of your departments may require a larger screen size or an automated system. Assessing past data will allow you to figure out if the tools and processes that are currently being implemented are useful or outdated. The best retail success tips would suggest that it is not about having the latest and coolest tools around. Instead, it’s more about streamlining your business process and offering a better customer experience through the creative use of what you have at hand. Shifting to digital loyalty cards instead of physical ones is one way to optimize the utility for the customer as well as yourself. An updated system is also more secure. There are countless reasons why you should update anything in your business that is considered obsolete. In 2018, the anticipated marketplace is forecast to be fiercer than before, as traders will up their efforts in vying for consumer consideration. 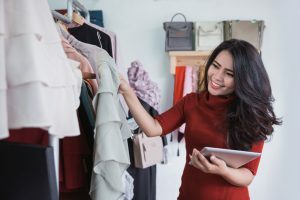 Forward-looking retailers are already implementing retails success tips through Omnichannel shopping, in-time order delivery, and optimum pricing strategies. With all of these strategies in place, do not forget that customer service is still the king when it comes to retail shopping. Connecting with your customers in a way that makes them feel comfortable and at ease while shopping in your store is a great way to convert one time shoppers into your loyal customers. Employees are the main assets for any retail business because they are the ones who are actually making the sales. If they are not completely motivated, your business is likely to go down the drain for the current year as customers are more aware than ever. You may have to prepare a motivational speech to get them on board with your vision as well as up their incentives from the previous year. Don’t just speak. Instead, ask them for suggestions and make them feel like they have an equal stake in the business. This is the best way to get the most out of your employees. In this day and age of technology, one sales channel is not enough to make the expected gains. Retail success tips suggest that you set up additional sales channels so that customers can buy at their convenience. This means that you may have to set up an e-commerce platform for your retail business and start selling online if you aren’t doing so already. If you have a brick and mortar setup, you may turn towards social media as it is among the hottest platforms for retail sales. Ensure that your sales channels are interconnected so that, if someone orders online, they can pick it up from your store if they want the product urgently. Even though the trends are all moving towards online sales, people will still visit retail stores, not solely for buying, but because it is an experience for some. Offering personalized customer service to these consumers should be top priority for retailers and must be considered as one of the top retail success tips for 2018. To offer the best experience, you will have to invest in your workforce and train your employees. Also, the in-store ambiance matters significantly when you are looking to create an aesthetic appeal for your retail brand. What is Causing the Death of Brick and Mortar Retail Stores?